Brilliant Venus shines from the western sky this evening as seen from the Chicago area. The moon, overexposed in the image, appears about 10 degrees to the upper left of Venus. Dimmer Saturn is 6 degrees to the right of Venus. The red planet Mars is 36 degrees to the upper left of Venus. 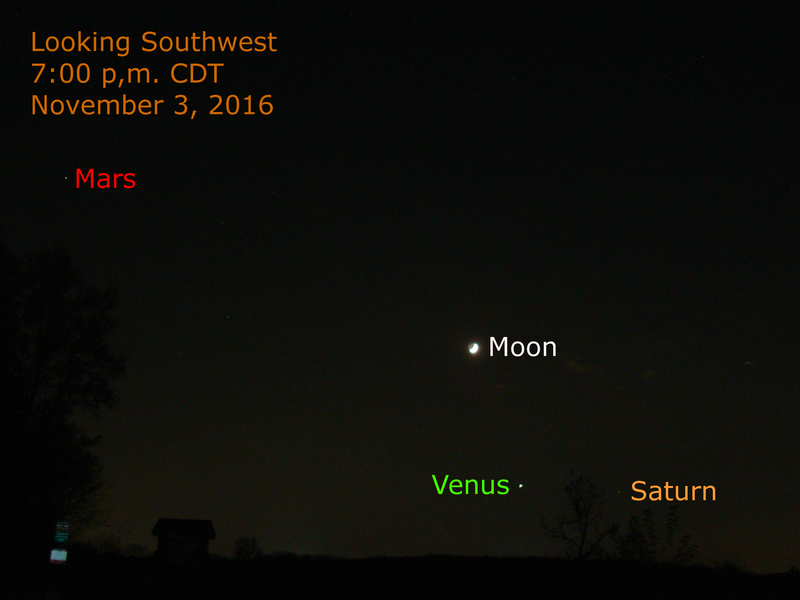 During the month, watch Venus get closer to Mars. For more about the planets see the articles linked above.